seems quite confusing, no? this is just because we wanted to have generic PCB that could be used for builds in all formats (MTA-100 headers, manual wiring), and later on the eurrack people (a strong lobby) voted for an additional front panel components PCB (no wiring, easier for newbies). 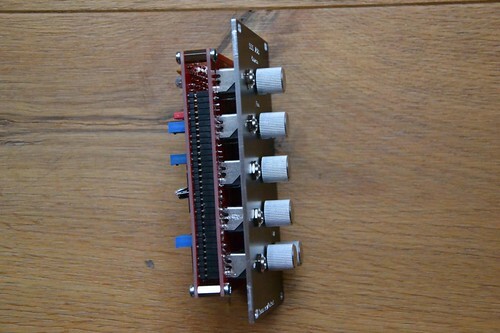 Could you tell us the reference number or model of the pots and jacks needed for the eurorack pcb? for the pots i used 9mm Alpha (mouser, smallbear, banzai et. al.). i ordered 9mm Alps, they should arrive tomorrow. i think they will fit, too. 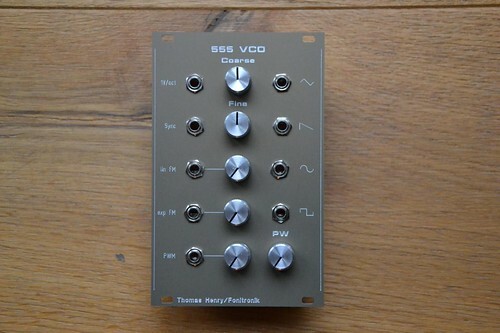 Having read the thread more carefully, I'd like two eurorack PCBs in addition to the two circuit PCBs and the two Euro front panels. 3x circuit PCB for me. I would like to ammend my earlier stated order. Could I put myself down for 2 circuit PCB's. Thanks. 2x VCO PCB's for me please. Maybe more depending if I can revive my existing oscillators or not. 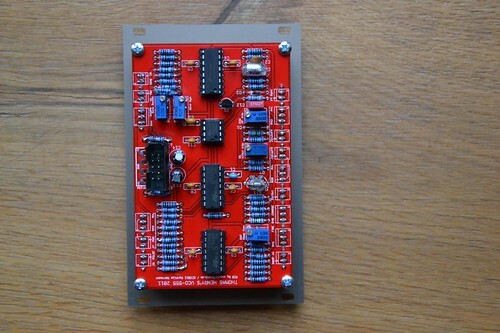 i finished the 2nd prototype tonight (the new one with the eurorack front panel components PCB). first i had a short (did not cut legs properly), then i found a trace missing, which i had to bridge, and eventually i lowered R27 by mounting a 33k in parallel, thus the PCB looks a little bit worn out, hehe. anyways, the boards you order will be 100% correct (nomissing traces). i recently bought 100pcs from pata for 40 yen each (~40c)! He is a great guy, I put through a big order with him recently and he shipped it bar one NE5534 that was out of stock. He sent that NE5534 in a tiny, tiny package a week later at his own expense. You can't ask for more than that. He also has some Akaneohm 1.87K tempcos in stock! I only found out after my order went through and I have a pile of the big KRLs from the recent group purchase now anyway. A quick question, has anyone used standard mail, or is it recommended to use "registered" at an additional 410JPY? i will take orders until 19 JAN 2013, then i will order all PCB and front panels.